Green cheques and embroidery on a white background. 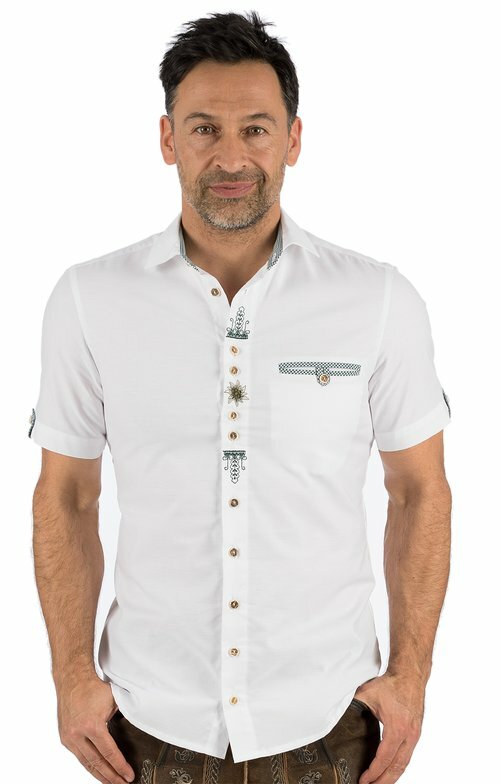 The stylish white short-sleeved shirt THORSTEN in white features a classic Kent collar, which is decorated on the inside with a green cheque pattern. The same can be found as a border of the breast pocket and on the jewellery clasps of the short sleeves. The button placket is embroidered at chest height with an edelweiss and green ear motifs.